Khabar: Bathukamma celebrated—reverence grows every year! 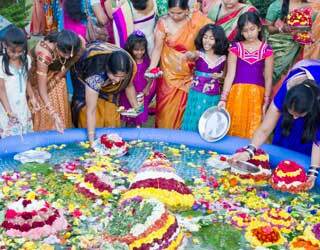 Home > Magazine > Around Town > Bathukamma celebrated—reverence grows every year! 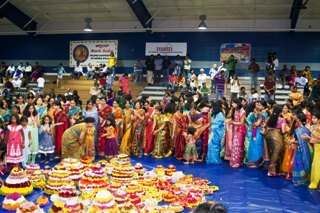 Bathukamma celebrated—reverence grows every year! The favorite religious festival of Telangana Region in India is ‘Bathukamma Panduga.’ Observed during Navaratri, it honors the "life-giving Mother goddess" or Bathukamma. Women seek her blessings by making towers of flowers: the bathukamma has seven concentric layers of potter’s clay, like a cone, and is covered with seasonal flowers. 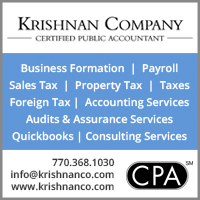 This festival of flowers is organized every year in Atlanta by Telangana Community, Inc. (TCI). 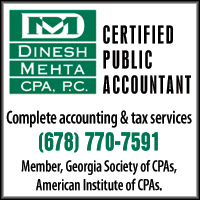 The 7-day event was sponsored this year by American Telugu Association (ATA) and co-hosted by Greater Atlanta Telugu Association (GATA) and Telugu Association of Metro Atlanta (TAMA). Attended by about 1000 men, women, and kids, celebrations started at 11 am on October 5, 2013 at South Forsyth Middle School as women brought colorful ‘bathukammas’ to the event; one remarkable one included a map of Telangana. Lunch, sponsored by Jaihind Groceries and Chaat House, was served from noon. When the crowd settled down in the hall, cultural programs began at 1:30 pm with Viju Chiluveru and Madhavi Gangasani welcoming the crowd and introducing the organizing crew and MCs of the day—Anitha Vangala and Madhurima Charugundla. After the lamp lighting, President of TCI Srijan Joginapally gave an overview of the organization’s activities and services. Ravi Chander and Vivek Reddy received ‘Community Person of the Year’ award presented by Dr. Sreenivas Gangasani and Narender Reddy. As Ravi Chandar was out of town, his wife Sushumna Roy received the award and said that her family is very proud to be associated with such a noble cause of supplying clean water to people in Telangana by building reverse osmosis plants. Vivek Reddy thanked the organization for recognizing his contribution to the community: he helped the rural girls with their education by donating bicycles, laptops, funds for books, etc. All child artists received medals while adult artists, MCs, and coordinators were recognized by President of TAMA, Mahesh Pawar and Vice-President Sandhya Yellapragada. 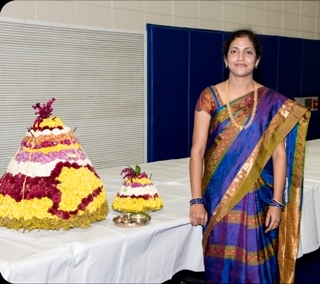 A bathukamma contest was led by Ramadevi Boyapally with judges selected randomly from ladies in the audience, and winners (1st: Madhuri Madarapu, Sandhya Chiluveru; 2nd: Madhavi Vuppala, Lakshmi Busa, Twinkling Stars of Telugu; 3rd: Gowri Bathukamma, Kakatiya Queens Group, Reddy Dorsani Group, Roopa Pannela) received cups and medals presented by Ramadevi Boyapally, Lavanya Joginapally, Radhika Veeraneni, Neeraja Boyapally and Lavanya Nilagiri. Kids bathukamma contest was won by Nithya Marri, Bhargavi Gundla, Pavani Eega, and Varsha Katta. We take this opportunity to express our sincere thanks and appreciation for the untiring efforts of Rtn. Siva Kumar Narne (Rotary Club of Secunderabad West) & Rtn. Ravi Chander in coordinating with the Rotary Clubs in US and in India, overseeing the whole process from approval of Matching Grant to Installation of these RO Plants. ATA Board Member Karunakar Reddy Asireddy, presented a plaque to Srinivas and Shirisha of Jaihind Groceries for their generosity of supplying food during the event. Venkat Veeraneni, Vice President, in his message requested members of the community to come forward and make financial contribution by becoming members or a part of projects initiated by TCI, and Prabhakar Boyapally personally connected with everyone and got about 55 memberships within two hours time—a record. Sridhar Vakiti and Pavan Tanguturu. Srinivas Durgam arranged the audio equipment for the event and also coordinated with other singers. Shekar and Prashanthi Reddy recognized all the volunteers of the day led by Mahesh Nilagiri, who is also the Treasurer of TCI. 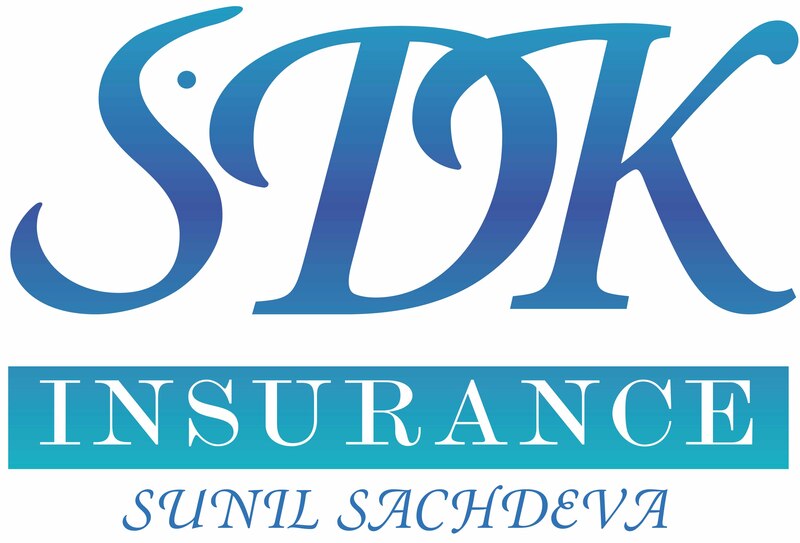 Nanda Chatla, Raghu Banda, Chandrasekhar Palla, Srinivas Avula, Sunil Reddy Kuturu, Premdasu, Amrendar Reddy Bomyneni, Madav Kusum, Ajay, Anil, Raghu Gandra, Chandu, Pratap Gani, Rajesh Vaddi, Gautham Nyalakonda, Ritesh Sagi, Sridhar Edupalli, Anup Nilagiri, Ramgopal Madarapu, Chalapathi Vennamaneni, Sridhar Nelavelli. 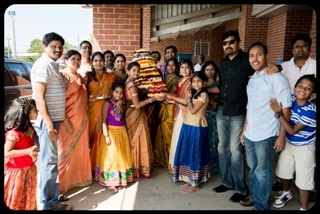 Third Prize - Gowri Bathukamma, Kakatiya Queens Group, Reddy Dorsani Group, Roopa Pannela.